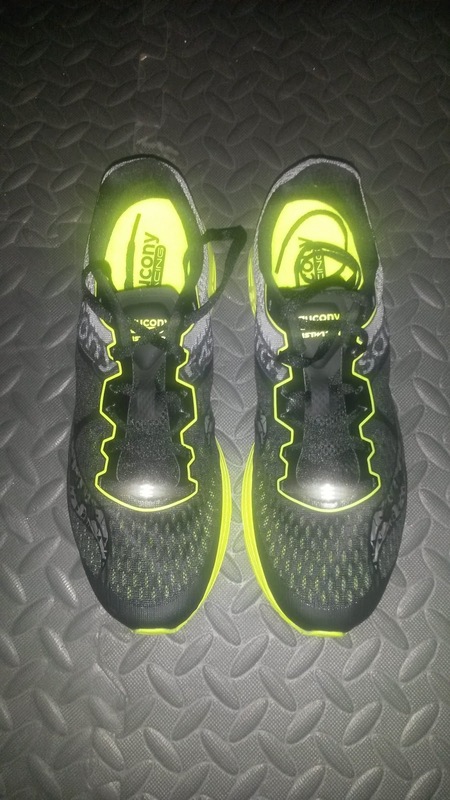 This is the fourth version of the Saucony Fastwitch I have tried up to this point. I tried version 5 long ago and would have like it more if I wasn't such a minimalist freak at that point (was anti-motion control at that time). Later on I tried version 6 (REVIEW)and really enjoyed training full time in them. The firmness and low to the ground ride with mild stability seemed to work with my stride. However, it became clear that I have a firmness threshold and the Fastwitch 6 was exceeding that. What really impressed me was how spot on the fit was. At that time, going up a half size resulted in an absolutely perfect snug fit. Not too tight or narrow. 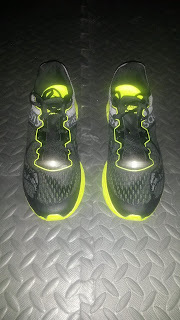 The Fastwitch 7 (REVIEW) managed to improve upon almost every aspect of the shoe. Going from ~7.5 oz to 7.2 ounces, fixed the sizing issue (true to size) but maintaining that perfect fit while softening the sole a little was awesome. Version 7 no longer felt like a lightweight trainer, but an aggressive (very) mild stability racer that could handle short and long distances. I took it on long tempo runs and even an impromptu 4:35 road mile (run after a rather frustrating exam in DPT school) and found it worked very well for both. However, it was still a little on the firm side and I felt a little beat up after those long tempo runs. 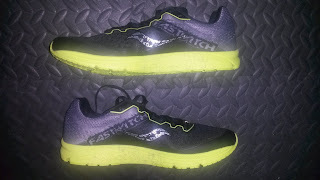 Recently I decided to try the Fastwitch 8 and continue with my reviews of racing flats (given the general lack of information on many of them) and discovered that again this shoe has improved. How so? Let's talk. Sole/Ride: While the outsole, midsole and heel drop design remain fairly similar, the Fastwitch 8 has a noticeable difference in midsole density. No longer does it border on being too firm. The Fastwitch 8 feels a tad softer than previous versions, which gives it more of a responsive feel than a firm feel that I noticed immediately within a few steps. 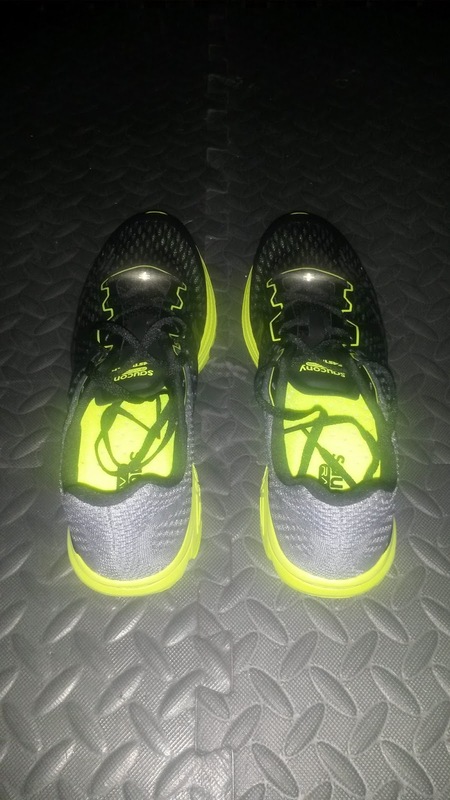 While I have not done a workout in this shoe yet, strides have felt much better with more forgiveness upon landing. This should improve the reach of this shoe to individuals who may have more difficulty with firmer shoes. The Fastwitch 8 is still on the firmer side, but not bone crushing like previous versions. Good job to Saucony for finally nailing this. Although similar to the previous version (7), the PWRTRAC outsole does a fantastic job with grip. 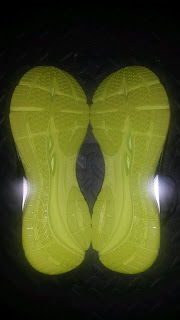 As it has been raining on the weekly here in Southern California, the outsole still grips well on wet road, which is a rare quality among racing shoes especially. On other notes, the heel drop remains the same at about 4mm (feeling fairly low) but a major change is the drop in weight to 6.5-6.6 ounces! That is another aspect that was immediately noticeable. This weight drop may have to do more with the reduced density of the upper (discussed in the next section) but the new Fastwitch 8 now feels like a true racing flat with the drop into the 6 ounce range. 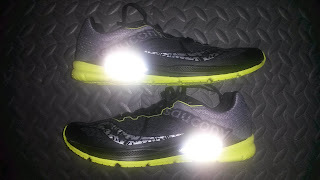 That has not changed the protection provided by having more midsole than the Type A or Endorphin Racer, but I can definitely see using this shoe for a 5k race for those that may need a little stability. Speaking of stability, there is still a mild dual density post in the midsole that I almost forgot about due to how mild it feels. This aspect is fairly similar if not a little more muted due to the slightly decreased sole density, but it continues to provide decent stability for those that need it mildly during longer miles. Upper/Fit: Although the fit is fairly similar to the previous version, the Fastwitch 8 has an updated mesh upper throughout. This not only makes the shoe lighter, but also has drastically improved the feel against the skin. I have been able to run sockless in the previous versions (6 and 7) but the step in feel is by far the best in the Fastwitch 8. The fit continues to be fairly true to size with what I find to be a perfect balance between snug allowing enough room (personally). The decrease in mesh density also allows for much better breathability. While my feet did sweat running sockless in the previous versions, even with socks I could feel the increase ventilation. So for those running in hot weather or running sockless, this should be a great shoe for you. One of the biggest changes that I don't normally talk about is the increase in reflectivity on the upper. 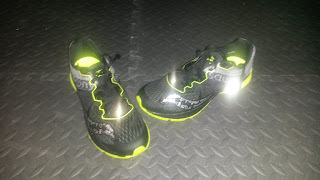 So for those running in low light conditions, this may be a good racer/workout shoe to consider. Thoughts as a DPT: I have discussed previously my thoughts on dual density posts and how they are slowly going out of fashion. I have also discussed briefly before on how combining a soft sole with stability decreases the inherent stability. However, the Fastwitch 8 brings this up subtly. Previously the Fastwitch was extremely firm and hitting the even firmer medial post could be a bit jarring. Now that the sole is a little softer overall, the stability feeling is better integrated into the sole as it too is slightly softer. The Fastwitch 8 is still a great lightweight stability racer and in my mind is the best one on the market. However, this is a lesson for companies trying to make stability trainers. Soft shoes are not inherently stable (again, the Fastwitch 8 is very stable). Imagine running or stepping on a pillow. Instead of extra ground reaction forces (the forces that go back through your body when you land) going through your joints and activating stretch and neural receptors that help your muscles activity and load forces, landing on a soft surface creates less input into the joints. Due to the decreased input, it takes a little more time for the muscles to react thus the inherent instability. 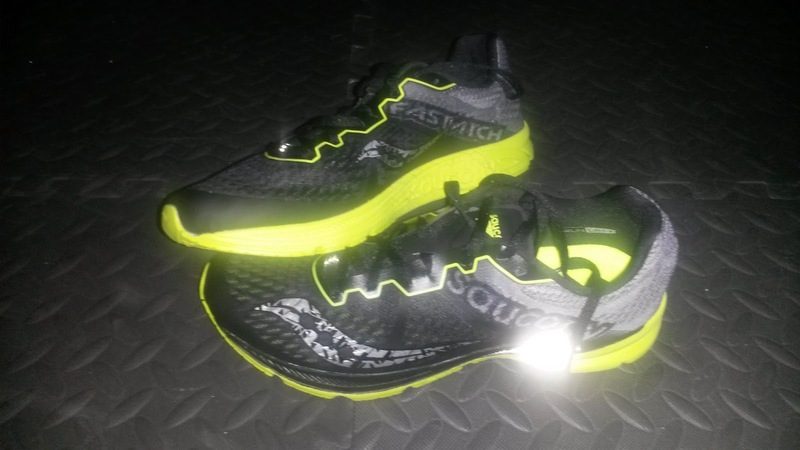 The Fastwitch 8 is NOT a soft shoe. It is a firmer racing flat with mild stability that will work well for a variety of distances (5k and up). My point is that sole firmness definitely affects both your muscles and your nervous system. Your body relies on the forces into your body associated with landing to figure out how to interact with the ground. A softer shoe will cause your body to stiffen up as it does not have to worry as much about loading forces. Instead it has to worry about stability and keeping the joints aligned with the unstable surface it is treading upon. This is why people tend to run slower on softer surfaces or with softer shoes. It is a trade off due to altered input into the nervous system. This brings me to a slightly off topic comment on unstable surface training. Extensive research has been done showing that weight or strength training on unstable surfaces does NOT increase your strength over training on stable surfaces. That lead to a great number of people dismissing unstable surface training as having no use. While it may not affect strength, what I found unstable surface training great for is stimulating your nervous system and challenging your proprioceptive system. This is the system in your body that tells you where your joints, limbs and everything else is in space. You have receptors in your joints, muscles, tendons, soft tissue and other structures that give your brain input and information about where your leg is (for example), how it is landing, what position it is in, etc. Being on an unstable surface challenges this system because it does not get as much input from the ground. Thus it may be a far better way to work on neuromuscular stability and control, rather than pushing strength. Those are equally important as strength is not the only determining factor to running fast or performing well as an athlete. The body is far more complicated that that. Conclusion: Despite my comments on unstable surface training in my "Thoughts as a DPT", I want to again emphasize that the Fastwitch 8 is on the firmer side. However, the sole is more forgiving that previous versions. Saucony managed to improve almost every aspect of this shoe. It is lighter, the mesh is softer, the sole is more forgiving and now feels even faster. If you are in the market for a racing flat but are concerned that you still need stability, this is the number one racing shoe I would suggest. I highly suggest trying this shoe if you can handle the lower drop and you may find yourself lacing these up for a 5k. I am confident that many people will still be able to handle these for longer distances, even up to marathons (I personally would max out at half marathon distance). This obviously depends again on your body type, biomechanics and what you are used to. Even for individuals without stability needs, I highly suggest taking a look at this shoe. The stability element is mild and again will work for a large variety of individuals. Good job Saucony for knocking this one out of the park! ***Disclaimer: These shoes were a personal purchase from Running Warehouse. 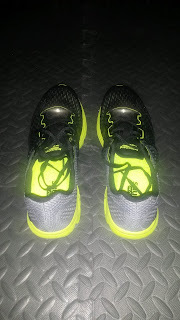 I did run briefly on the road to test the shoes out but no more than what I would do testing shoes at a local running retail store. Due to financial reasons I will likely have to return these to Running Warehouse as I am currently an Orthopedic Physical Therapy Resident at Casa Colina (and funds are a bit tight as a resident). However, if they are provided to me by a company in the future, I will put them through their paces and report back fully. In fact I like the Fastwitch 8 so much that I may just bite the bullet and purchase (and keep) them when I run my current racing flats into the ground.